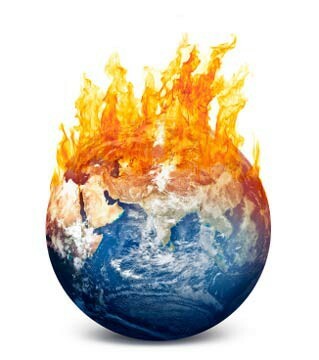 This symbolizes the destruction of the earth if we don't stop polluting. each and every day we do things without knowing the effects it will have on our environment , which is very dangerous. These effects will cause many changes in the air in which climate changes can occur due to chemicals and other things let out to the air. thus it can affects us in the long term as the earth will have a drastic change.